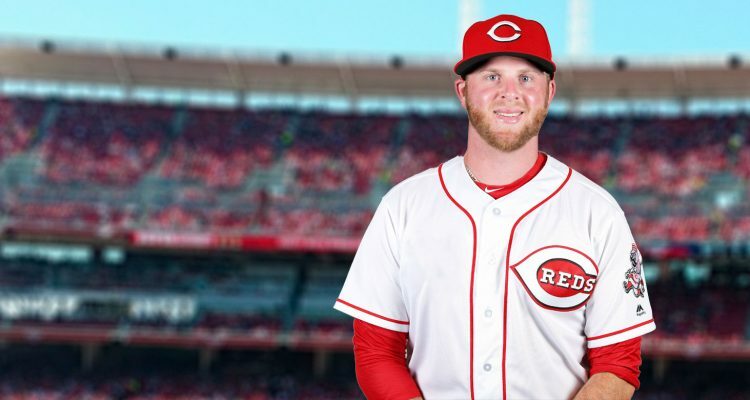 In this ongoing series that will last most of spring training, we’re going to look at each player that will be in Major League camp with the Cincinnati Reds. Each post will have some information on the player. There will be some background information, profiling, projections, and more. To see all of the posts in the series, you can click here. Today we are going to look at relief pitcher Buddy Boshers. Acquired: Originally drafted by the Angels in the 4th round of 2008. Signed by the Reds in January 2019. Height/Weight: 6′ 3″ / 205 lbs. After pitching at Calhoun Community College Buddy Boshers joined the Angels organization in 2008. He pitched with them in their farm system for the next five years before reaching the Major Leagues in 2013. The lefty would spend 2014 in the minors and in 2015 pitched independent league baseball. He returned to affiliated baseball in 2016 with the Twins and reached the Majors that year, and also in 2017. Then in 2018 he spent time in Triple-A with both the Pirates and Astros. The left-handed reliever got his season started in Triple-A Fresno with the Houston Astros organization. He pitched with them until August when he was designated for assignment and picked up by the Pittsburgh Pirates. With Fresno he posted a 3.18 ERA in 51.0 innings while striking out 55 batters and walking just 15 of them. Once he joined the Pirates organization they assigned him to their Triple-A affiliate in Indianapolis. He only pitched in seven games there before the season ended. Boshers had seven strikeouts and three walks in his 6.0 innings and allowed three runs there. The Pirates did not call him up during September. He was granted free agency following the season. Buddy Boshers has been playing professionally since the 2008 season. He’s spent a majority of the last decade plus in the minor leagues, but has seen 25+ games in three different Major League seasons. As mentioned above, he spent the 2015 season playing independent league baseball. He’s also played two seasons in the Venezuelan Winter League in his career. Boshers has been around and done a little bit of everything and everywhere. 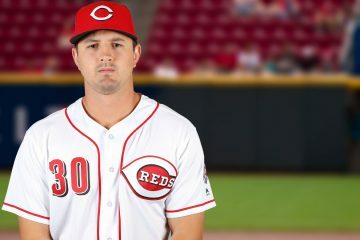 Despite not pitching in the Major Leagues in the 2018 season, the two projection systems that put out data for Buddy Boshers seem to think he’s likely to be a league average pitcher in 2019. How could Buddy Boshers fit in Cincinnati in 2019? As a left-handed reliever there could potentially be a spot for Buddy Boshers on the roster to begin the season. With a new manager, pitching coach, assistant pitching coach, and generally a whole new direction, we aren’t sure how the roster will be built. 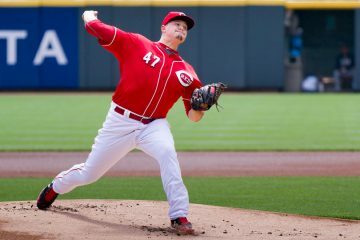 But most teams to put a lefty specialist in their bullpen, and if the Reds do, Boshers could potentially be their guy. In his three Major League seasons he’s held left-handed hitters to a .245/.277/.344 line with just 5 walks and 35 strikeouts in 159 plate appearances. Last season in Triple-A he walked just 3 lefties and struck them out 34 times in 104 plate appearances. He’ll have competition for the spot, but his resume is there for the role. I think Doug just likes to say “Buddy Boshers” — great baseball name, btw. But if Buddy Boshers gets a lot of play for the Reds in the bigs this season, I’d be pretty bummed. I love his numbers with Somerset. Indy league numbers are always a good indicator for me of how I may have hit him in my younger days. A nice depth signing who as you said, seems to have a fair shot at making the roster. Looks like he does a decent job of limiting walks. Love this series. It takes me about 2 – 3 minutes (baby bear time) to scan the info you got here including your synopsis. Before reading this I am completely unfamiliar with these ballplayers. I’m glad someone else is finding it useful. It’s not meant to be some super in depth piece each day. Just something to give a quick introduction/background of the guys in camp. Going through all of the non-roster guys first, then we’ll jump into the minor leaguers who haven’t been up, then we’ll start looking at the guys everyone knows and it’ll be far more boring lol. Thanks for this series. Really helps getting some background on the lesser known players. If nothing else, this Buddy Boshers is one of the best baseball names I’ve heard since Boof Bonser. I’m pretty sure Zach Duke will be the LOOGY, but if Buddy pitches well in ST, doesn’t hurt to give him a close look too. remember basketball player Baskerville Holmes? Theres a name.